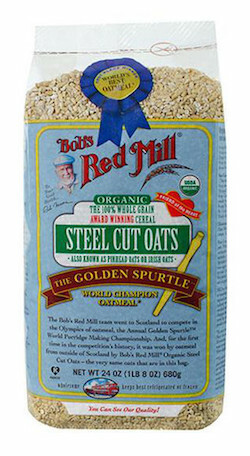 Organic Steel Cut Oats are simply whole oat groats that have been cut into neat little pieces on a steel buhr mill. We use high protein, whole grain organic oats that have been lightly toasted to create our hearty steel cut oats. Also known as Irish oats or pinhead oats, steel cut oats create a chewy, full-bodied hot cereal. Oats are a well known healthy breakfast choice, being high in soluble fiber and protein. They are also incredibly versatile. Steel cut oats can be used to make risotto, pilaf, dumplings, arancini and more!